Melanie Merz is the Stewardship & Donor Engagement Manager at WWOZ 90.7FM, New Orleans' volunteer-powered, listener-supported community radio station. Melanie graduated from Oberlin College in 2005 and then worked as a SEC licensed brokerage manager for an Shariah Compliant mutual fund adviser before walking into WWOZ to be a "super volunteer". 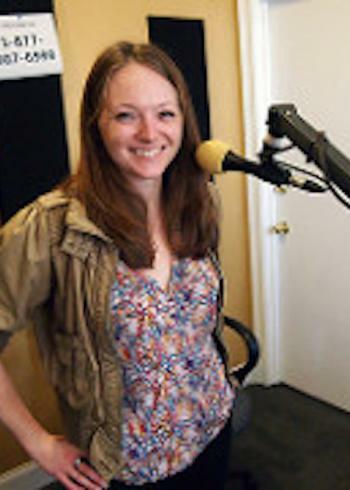 The station decided to keep her around first as a digital content editor, and then as WWOZ�s sponsorship manager where Melanie worked with businesses and non-profits to build station-community partnerships connecting them to WWOZ�s audience around station program initiatives. Melanie is now responsible for creating and implementing the station's first stewardship program to recognize and engage donors and volunteers while enhancing WWOZ�s brand and listener loyalty. Her role draws together WWOZ development and programming departments' shared goals of audience-donor engagement and station community building. Melanie is a co-leader of the ReFresh Walls Project mural arts initiative, a volunteer mediator with Community Mediation Services New Orleans, and a member of the the Organ Grinders Mardi Gras dance krewe. She and her husband are enjoying attempting to train Taj the dog and wrangling backyard landscaping in New Orleans' Seventh Ward.